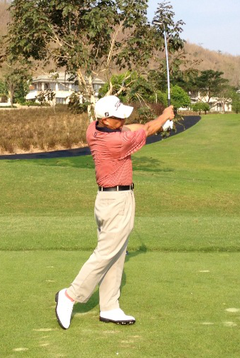 Personalized lessons from golf professional Jim Venetos. 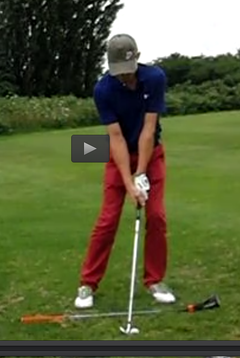 Send in videos of your swing and ask questions. The Jim Venetos Golf Method is the most effective technique there is. In the short time I’ve studied Jim’s method, I now understand my swing, have dropped my handicap from a 14 to a 6.3 and have more fun playing golf! Played my first round today with my new swing, shot 84, my best score ever after only 3 days of learning your swing. Every aspect of my game was consistent. I'm coming up on my first year of golf and it feels like I learned more from your program in a couple days than I have in the previous 12 months. THANK GOD I found your website. I have been a member of rotary swing.com for the last 2 years and I have progressed more in the short period that I have been a member of your site. 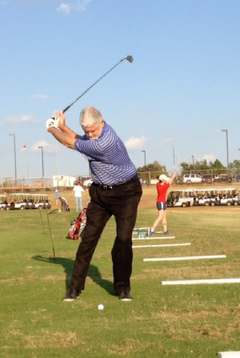 I have a really good feeling about this swing, and in my instructor. This methodology has resurrected my entire golf game. My game from tee to green has changed significantly...I'm 25 yards further off the tee, my approach is on target and my chipping is tap in close. The Jim Venetos methodology is no B.S. Just competed in the Senior Club Championship in the 60-69 age group. I shot 87,85 to win my group and ended up winning overall net. I was a 24 handicap & I'm now a 16. 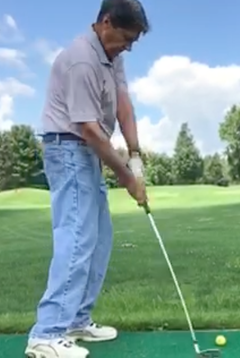 Since recommitting to Jim's technique I have dropped 8 strokes in a little less than 2 months. If anyone starts to have doubts, stick with it. It works. I have been playing golf for 38 years and score in the mid 70s...Wow, everything was a draw! But the most astounding thing I noticed, and so did the guy in the next stall...was how loud the contact was with my irons. I want to let you know that my driver distance and accuracy has improved quite a bit. I also am very happy with the way I am striking my irons they are definitely flying further with a nice 3 yard draw, one hop and stop. I am enjoying the game so much more with my new swing and I can't wait to go practice and play. Thank You! With your swing I know that if I stay still on my left side, the shot I plan will be the shot I hit. Thank you, it's a different game, feels almost like cheating. 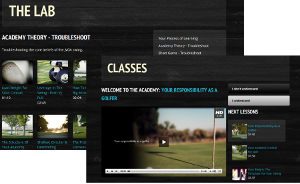 I can't thank you enough for the Jim Venetos Golf Academy. Recently, at the age of 71, I shot 72, which is my best score on my home course. I fully expect to shoot my age this season. My only regret is that I didn't know you 25 years ago. Understanding stillness has revolutionized my game. My classic drives were 190-210 metres with a frequent push slice. Under this method I never push slice (ever) and produce lovely 240-250 metre draw shots (or fades if I choose). My game has radically changed for the better. I feel privileged to be under your tutelage Jim.